A new poll carried out by the Associated Press (AP) and CNBC found that social networking giant Facebook has some steep challenges to overcome as it moves ever closer to becoming a public company this week. Facebook is expected to start trading on Friday. The AP-CNBC survey of 1,004 Facebook users, conducted between May 3 and May 7, found that 57 percent of Facebook users don’t click on sponsored content or ads and another 26 percent said they rarely do. Facebook depends on advertizing for revenue, and much of this comes from user clicks on these sponsored ads and content which are important because they tell an advertiser how effective their ads are, and Facebook how much to charge for them. A new AP-CNBC survey revealed many user don't trust Facebook and think its expected $100bn valuation is too high. The AP-CNBC poll also showed that just 8 percent of Facebook users feel very safe or extremely safe in using Facebook’s platform for carrying out financial transactions like purchasing goods or services, and 54 percent said they don’t feel safe in doing so, dampening Facebook’s hopes for expanding its e-commerce activities. Currently Facebook’s e-commerce is mainly limited to virtual goods and games, but analysts say e-commerce has the potential to be extremely lucrative and could be important in fueling Facebook’s future growth. Survey respondents expressed mixed opinions about Facebook’s expected $100 billion valuation for its IPO with 62 percent of respondents who were active investors believing the valuation is too high. Fifty percent of all respondents thought the $100 billion valuation too high, and only 3 percent thought Facebook would be undervalued at this figure. 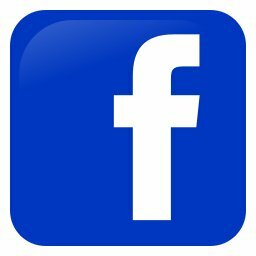 Older survey respondents tended to think Facebook would not make a good investment while younger people tended to think the opposite: 39 percent of seniors liked Facebook as an investment, compared to 55 percent for baby boomers, 50 percent for Gen-xrs, and 39 percent for those aged 35 and under. The AP-CNBC survey revealed Facebook has another, more serious problem, one which accounts in part for the lower number of clicks on ads and sponsored content: trust. The social networking giant certainly has impressive and still growing user number at 901 million monthly active members, but people do not feel safe about their personal data while on the social networking site. A whopping 59 percent of users said they had little or no trust that Facebook would keep their personal information private. Clearly, people like Facebook but in spite of this concern – pc users that have Facebook accounts spend between 6 and 7 hours a month on the site compared to just 3 minutes for Google’s social networking platform Google+, according to recent data from comScore. Dave has a B.A. in Mathematics, loves writing and reading about the latest developments in technology and social media, and has been working as a freelance writer for five years.